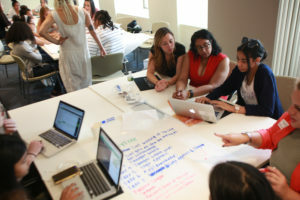 On July 21st, the WLN NY chapter hosted a working session for the The Young Women’s Leadership School of Astoria’s Tech Explorers, a summer program for girls aged 12-17 who are interested in technology. 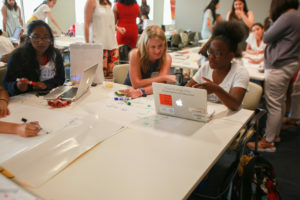 The program aims to provide exposure to technology/coding, graphic design and film-making for female students from underserved communities, and to give them the opportunity to explore New York City’s technology community. 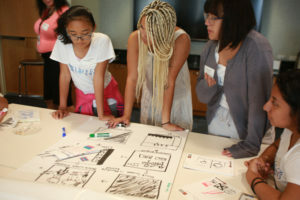 These young women have spent the summer developing their own apps, and they used yesterday’s session to work with women from across IPG agencies to continue to develop and refine their ideas. 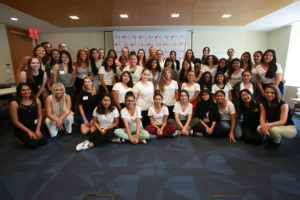 Thirteen women from across IPG agencies volunteered their time to work with thirty-five young women to get their apps to the next stage. The working session included helping the girls with code and design questions and showing them how to get their ideas into a storyboard for the commercials they’re creating to advertise their apps. 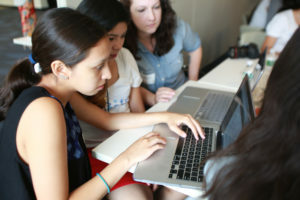 As a wrap up to their summer program, the young women will be presenting their apps and commercials at Google!